PTA loves collaborating with the same actors again and again, but I think he has finally found his muse in Joaquin Phoenix, who has shown that with this and The Master, he is really good at playing very eccentric dudes. In Inherent Vice, Phoenix plays Doc Sportello, who I guess is a doctor because he seems to go to a doctor’s office everyday for work. During his off hours, he moonlights as a private detective. If you want a good idea of who Doc is, just picture if The Dude was around in the right time and place. Doc is a loud and proud hippie during a time when it was okay to chain smoke joints in front of a police officer. While lounging in his beachside bungalow, Doc’s ex-lady Shasta (Katherine Waterson) pays him a visit. She needs him to help foil a half-baked extortion plot involving her rich new boyfriend. After much explanation and little hesitation, Doc offers his services. Now, why would Doc stick his neck out for somebody who broke his heart? 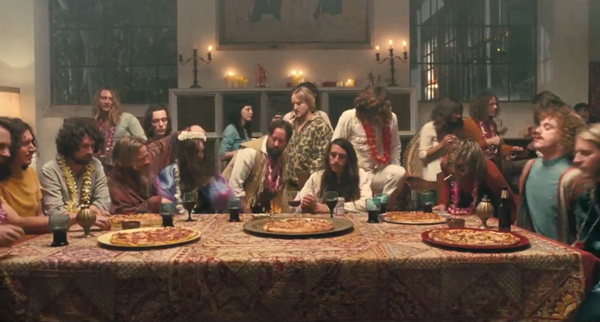 That is one of the many mysteries that lies within Inherent Vice. This is a film noir in which one of the biggest mysteries concerns what we might possibly do for love. This film is all over the map. Normally, that would be a bad thing. But here, that is precisely what makes it all work. While Inherent Vice is not Paul Thomas Andeson’s masterpiece, it feels like years of watching his films could better train you and prepare you for this one. This is an ensemble piece where big names drift in and out. Some come back, and others disappear without a trace. For some reason, the narrator (Joanna Newsom), has no real stake in the events at all. She serves sometimes as an audience surrogate, and other times as a spiritual advisor, as if she appears ignorant but knows some deep truth that she refuses to reveal. Many great stories rely on unreliable narrators. This story needs one, because there is not a single reliable character to be found here. I have not read Inherent Vice, nor anything else by Thomas Pynchon (although I did once tell my professor that I read The Crying of Lot 49), but I can say with utmost confidence that Paul Thomas Anderson is the perfect choice to direct this. Anderson, who is an LA native, treats his home city not as this bright, glamorous place, but rather as a hodgepodge of outlaws and misfits who all want their chance in the spotlight. Think of what would happen if L.A. Confidential, Chinatown, and Muholland Dr. were all thrown into a blender together. This is a version of Los Angeles where everybody eats pizza and nobody drives on any freeways. Here I thought everybody in LA was sipping on kale smoothies while driving down the 101 all the time. 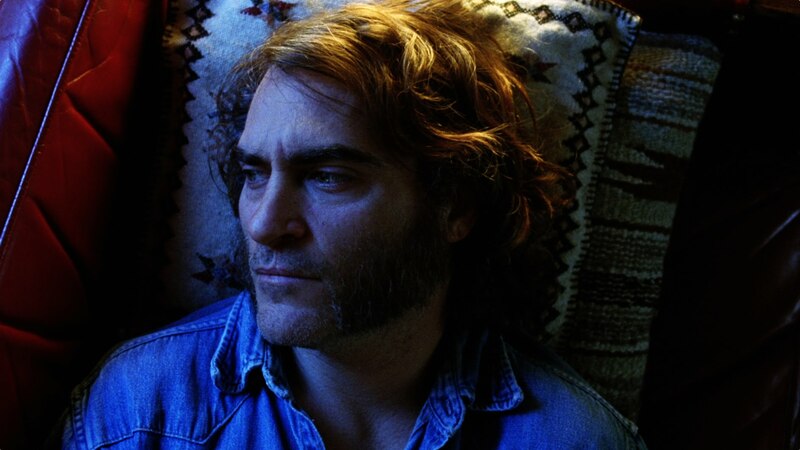 Inherent Vice looks and feels like the kind of film that isn’t made that much anymore. Thanks to the beautiful, grainy film stock, Inherent Vice doesn’t even look like it was made in 2014. It is a film nerd’s paradise, and a period piece that actually looks like a relic of that period. Too many filmmakers try to shoot period pieces in digital and when that happens, they end up with Public Enemies. This also happens to be the funniest movie that PTA has ever made, and this is the same guy who made one movie with Adam Sandler and another where Joaquin Phoenix farts in front of Philip Seymour Hoffman. In one scene, Doc screams after looking at a picture. The trailer does not do it justice. The way that Doc tries to act like nothing happened is comic genius. Each character, from Doc to Brolin’s scummy LAPD officer (Josh Brolin) are so cartoonish to the point of farce. But then, something will pop up like a scene in which Doc and Shasta run down Sunset Boulevard on a rainy day. It is a beautiful scene, and a reminder that all these characters are just lonely people in a big city who are looking for love. 1) Why would you watch this movie? It’s a long, muddled mess. There’s a lot more talking than action and it is really hard to keep track of what is going on. Plus, Katherine Waterson is only naked once. 2) Why wouldn’t you watch this movie? Once is good enough. Also, this film embraces confusion and chaos like few others do dare to. It just goes for it. If True Detective and Serial have taught us anything this year, it is that the clues and the intrigue are often even more fascinating than the end result. If you want, you can get lost in the forest and have a panic attack. Or, you can wander around and admire the trees. Or better yet, you can chop down all the trees and complain about them on Reddit. I really hope Josh Brolin scores an Oscar nomination for this. I want a Josh Brolin pull string doll that shouts, “molto panacako!” over and over again. Cameo of the year: Martin Short running with his pants down. Is it really that easy to just become a detective? I should have started doing this years ago. With Inherent Vice and Nightcrawler, 2014 has been a great year for making LA look really cool. Rarely is this question asked: why doesn’t Jena Malone get more work? There is an amazing moment that happens towards the end of any given Paul Thomas Anderson film. The end credits are about to roll, and you know that it is going to end abruptly. Boom. Cut to black. Immediately, the audience erupts in chatter. Not because they are rude and anxious, but because they are confused and stunned all at once. This is what makes the shared cinematic experience so special. Time to see this thing again. And write a better review.